I was recently contacted by a friend with some concerns about the upcoming 2017 commercial season on her home river of the South Fork of the American. 2017 looks to be a standout year for snow pack and river flows across the Western United States; naturally as a senior guide she has concerns after a string of drought years that has left many of the boaters with less than 5 years of experience without any requisite experience on high volume river running. Her concerns were many, but it did cause me to think about some challenges that boaters who are rusty on high volume paddling and people who have never seen higher volumes will face this season. Without a doubt one of the biggest concerns of big water boating. The general rule is the more water there is and the faster it’s moving, the less time it has to warm up. Big snow packs mean that runoff will last well into the summer and the shock of cold water immersion can be debilitating even during hot summer trips. More water also means that things move faster, and people move faster…away from your boat. When there is a swimmer, they may find that they are on their own much longer than you would prefer before rescue arrives. Even if your safety boat is on point expecting long cold swims is the name of the game in big water boating. This means dress accordingly, dress your guests accordingly, discuss possible scenarios, and prepare your people for aggressive self-rescue possibilities. Big water means more than just long swims, it also means trips end more quickly than usual. This has a few major implications for both private boaters and commercial guides. On both sides of things, a good consideration is how much can your people really paddle? Running twice your standard distance in a day is definitely a feasible for many long class III trips, but should you do it? The answer comes down to how much your people paddle. Sometimes outfitters sell long trips to fill up the day and so people feel like they got their money’s worth. If that’s your sales point just make sure you are up front with people. Whether you are an outfitter, trip leader, guide, or guest it is important to maintain that clear channel of communication that the trip will be physically demanding. Bottom line, if you want a fun float over a powerful thrill ride, maybe late summer is a better time to boat. This all begs the questions: Do people feel they got their money’s worth? Are guests getting dressed correctly for the run? Do guest’s expectations match what the trip will actually look like? Increased flows generally don’t coincide with your favorite eddy. High flows tend to have the nasty habit of pushing water straight through big rapids and a swim at the top can mean that your safety boater really needs to be on point. If you are on safety don’t be surprised when you go to set safety you find fast moving current where your favorite safety eddy is. In many rapids new eddies can form from where you can set safety, but be sure to be flexible with where the best spots to set safety are to rescue swimmers. As small rivers turn into big water monsters you will find that the obstacles will change. Wrap rocks turn into sticky holes hiding terminal surfs. Trees and shrubs on the bank turn into hungry strainers hoping to gobble up unsuspecting swimmers. In general the obstacles that boaters face are more hydraulic in nature rather than obstructing your path. Large waves and lateral curlers can easily flip a careless boater off of a wall. Knowing how to handle these obstacles is important and generally takes a lot of power. It is always best to maintain vigilance and don’t be afraid to dust of the old oar frame to help generate some extra power. If you are a senior guide one of your chief concerns is do the young hotshot junior guides really understand what the trip will look like and are they prepared for the unique challenges of random flows? When you only boat at one small flow range for the entirety of your guiding career it prevents you from learning what multiple different flows look and feel like. It is important not to focus on how you always run a rapid and instead focus on what the rapid is actually doing. Many times in boating as flows change different options become better and some become downright horrible choices. Scouting is always a good choice when faced with an unfamiliar feature or option on the water. Make sure you understand what the water is doing and how it will interact with your boat. Taking a few minutes to figure this out might just save you from taking a ton of time recovering from a flip or wrap. This one is usually the biggest fear of most guides. Nothing is worse for a new guide than an entire boat full of inexperienced paddlers getting disoriented by the shock of cold water and the panic of everything going dark. For people who are prepared and ready for a flip this experience is just part of the trip, however for the unprepared it can be a traumatic experience which can scare them away from rafting all together. The true test of the superior guide and a good trip is what happens after the flip. A good guide should be able to clean up after their mess as quickly as possible with the help of the other guides on their team. Keeping the swims short and everyone accounted for really helps with paddlers’ perceptions of your professionalism and commitment to a good trip. On the other hand there is no better way to stop paddlers from boating with you than letting them swim for long distances after a flip. The real question comes down to how do we keep high levels of professionalism when things go bad? Training, Training, Training is the only answer. If you have new guides or boaters with you practice setting safety, peeling in and out of eddies quickly, rescuing swimmers in current, and flip drills in a controlled and realistic environment. The key here is realism, since a flip in an eddy really doesn’t help when that is rarely where a flip even happens. Again we must also stress doing this in a controlled setting under the supervision of trained professional swift water rescuers is critical for both safety and learning. Since the era of the professional guide is waning there is a greater experience gap now than there has been in the previous 20 years. Guides rarely make it past 5 seasons these days and it tend to forge guides that are used to one type of boating scenario. Unfortunately if you are a senior guide or an advanced boater we can all too often get overwhelmed with a culture of “this is the way we do it” from the junior guides. That attitude it doesn’t allow the ones with the most experience to adapt to a situation and become the true leaders that we really are in our hearts (See qualities of a good guide). 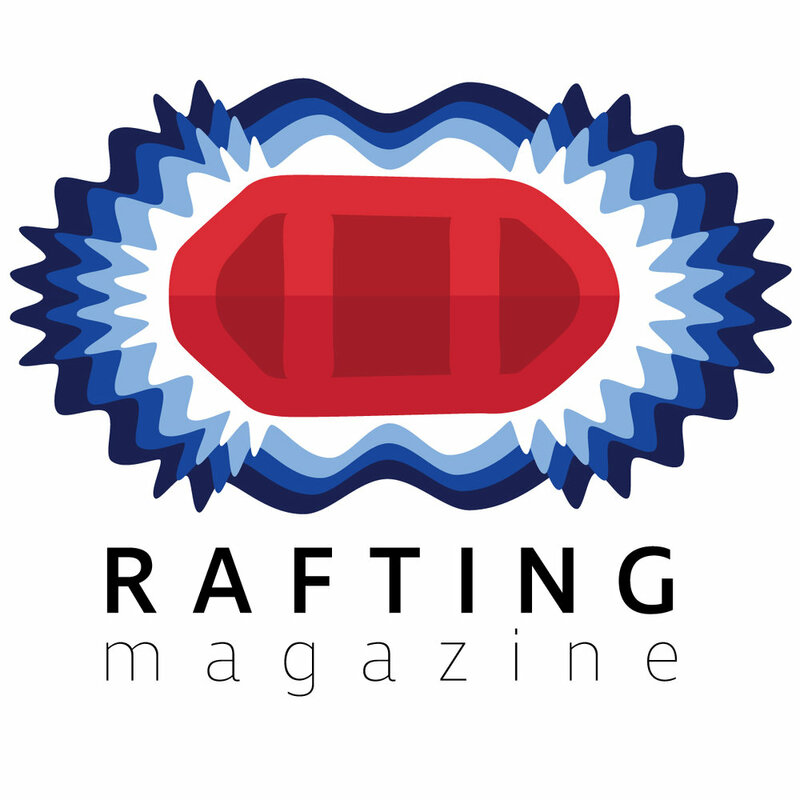 Safety Kayakers – We love other river users and we love sharing stories with other boaters, but we do not condone using safety kayakers alone. The reason for this comes down to sheer numbers and surface area. In a rescue situation the general priority with respect to the victim is to get them out of harm’s way as quickly as possible. Although we love safety kayakers for the one off swimmer or technical rescue situations requiring pinpoint maneuvering, big water situations can quickly escalate into multiple swimmer scenarios. So this begs the question: How can 1 kayaker rescue 6 people swimming after a flip? The answer is that they can’t. Although a kayaker can quickly dart out and grab someone, when there is an addition person hanging on to the outside of their boat navigation becomes extremely difficult plus they must return the victim to an eddy or safe spot which often requires coaxing the victim off of the kayak. On the other hand a properly outfitted safety boat can be a huge advantage simply because it has multi-swimmer rescue capability. A nearly empty raft can rescue a victim in the current then pursue additional victims that are still in the water without getting in an eddy. When we are dealing with the aspect of safety boats alone more often than not rafts are king especially during big water style trips. Trip speed – One common cultural aspect of river running in recent years has been the desire to make a take-out time and speed up the trip. My old pappy couldn't be more on point here. Trip leaders have choices to make and difficult ones at that, thus I can’t stress this point enough: It is impossible to focus on downstream progress and safety at the same time. You can either take time to set good safety or you choose to push quickly down river. You can’t have your cake and eat it too. Drastic swings in flows on rivers that you are familiar with always create more carnage because of the lack of familiarity with that flow. Our advice for any boater when things are changing and unfamiliar is to insist on setting safety. Guide bravado – If you live in the Western US this season is definitely the season that you can go big, but should you? Keeping your Ego in check is a huge benefit when faced with river challenges that you are not used to. One cultural element that has dominated adventure sports for the last 20 years is the “Go big, or go home” mentality. This mentality is a powerful motivator for many in adventure sports, unfortunately bravado breaks down just past the edge of your skills. What replaces bravado when it breaks down is fear and anxiety, which compounds itself with shame from messing up. It is critical to realize where your experience level is so that you can make decisions based on good judgment rather than big iron balls alone. As a final thought for this article we would like to stress that training and retraining is the most critical step of the process for building up the people you boat with. This article is purely designed as a spring board for discussions that will help move your team forward. Whether you are a commercial guide or a group of rafting enthusiasts seeking professional training with realistic scenarios is critical. We must stress that reliance on an article from the internet alone is no substitute for seeking qualified professional advice and this article alone should not be construed as such.